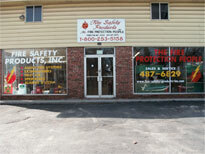 Fire Safety Products has been in business since 1982. 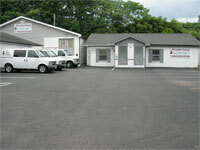 We have grown over the years and have 2 locations serving Virginia and West Virginia. As a company dedicated to the safety of the workplace and the home, we have thrived, increasing product lines as well as sales and service personnel. Our first priority is always the customer. We are factory supported with qualified staff for sales and service. Fax: (540) 382-1724 Fire Safety Product Inc.
We are proud to have our professionals serving our customers. Having the very best staff, Fire Safety Products is equally as proud to be the very best equipped company in the area. We strive in keeping the highest standards of excellence by updating equipment and vehicles. As you can see from above, we are your on stop source. We can handle anything from inspections to installs. Our technicians are available 24/7 for any emergency you may have.